Help! My Cat Sprayed Urine On My Carpet – What Do I Do? Bleh. Cats. How does the saying go? ‘Dogs have masters, cats have staff’? When your cat marks its territory entirely unnecessarily (hey, we already know it’s your house, Mister Whiskers), what can you do to get rid of the staink? It’s VERY important to not only get rid of the stain but any remnants of smell, not just for your immediate nostril-relief, but to stop the feline promptly returning and re-anointing. As soon as you discover it, it’s important to clean it right away. If you wait too long, on top of being straightforward nasty-looking, bacteria can start to grow in the affected area, which leads to nasty stinks. 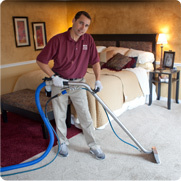 If you’ve done your level best and the stain or stink is still noticeable, give BCS a call at 801 561 1730 and have the professionals take care of it for you in a jiffy.